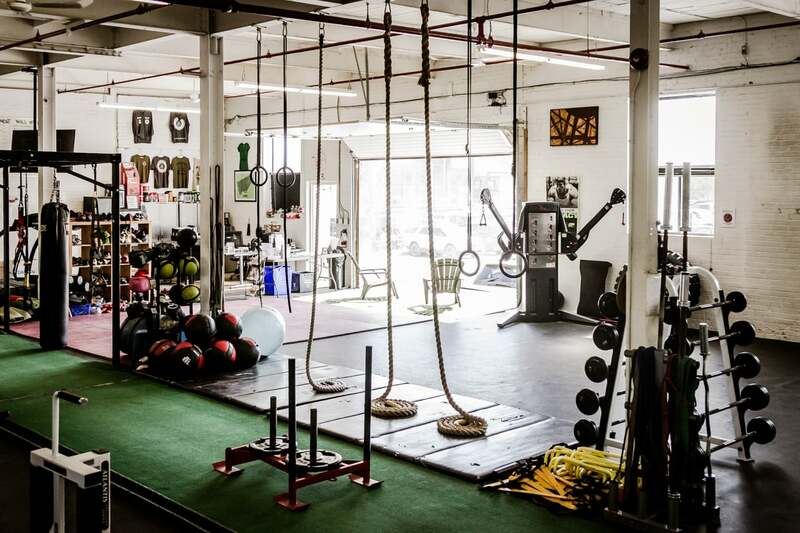 Primal Academy, a 2 level, 8000 sq ft freestyle and functional strength and conditioning Leslieville gym, is located in Toronto. We offer Open Gym Memberships, Bootcamp Classes, Martial Arts Classes, Small Group Training and Personal Training. Primal Academy has a genuine community dynamic and unlike most Big Box gyms is definitely the place where everybody knows your name. We cater to people of all abilities and fitness levels with the focus being on dedication, and consistency for progression. Primal Academy believes in diversity of training and a holistic approach to fitness. Some people choose to focus on a specific program, while others choose to mix up their training, either way everyone has an opportunity to experiment with training they may not otherwise consider and often find they really enjoy them. Classes are relatively small, which allows trainers and coaches to individually monitor each participant to ensure best results. All of our memberships include open access to gym outside of class time. Whether you are looking to forge your own training regimen, work in a team environment or have the individual focus of working with a personal trainer, Primal Academy is the right place for you.